5 axes, 3 drilling heads, 2 tufting heads, CNC Brush Making Machine. It is designed for mass production of big brushes in Russian and European markets. It has long stroke and big hole size. 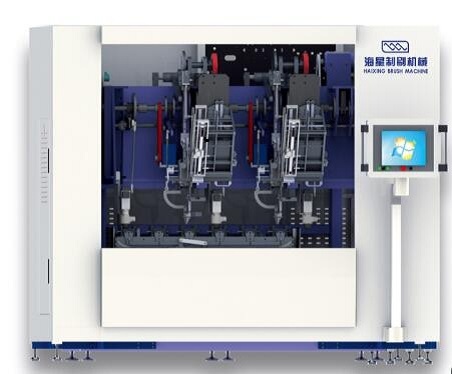 Innovative design and patented technology ensures a stable running of the machine and higher profits for the customers. * It is equipped with 3 drilling heads and 2 tufting heads, the tufting speed is as high as 700 tufts/minute. * It is easy and quick to create a new brush program. Looking for ideal Automatic Broom Making Machine Manufacturer & supplier ? We have a wide selection at great prices to help you get creative. All the Long Filament Broom Machine are quality guaranteed. We are China Origin Factory of Broom Tufting Machine. If you have any question, please feel free to contact us.